Gwatkins' Company continues on this, page two, at the top of the left column. 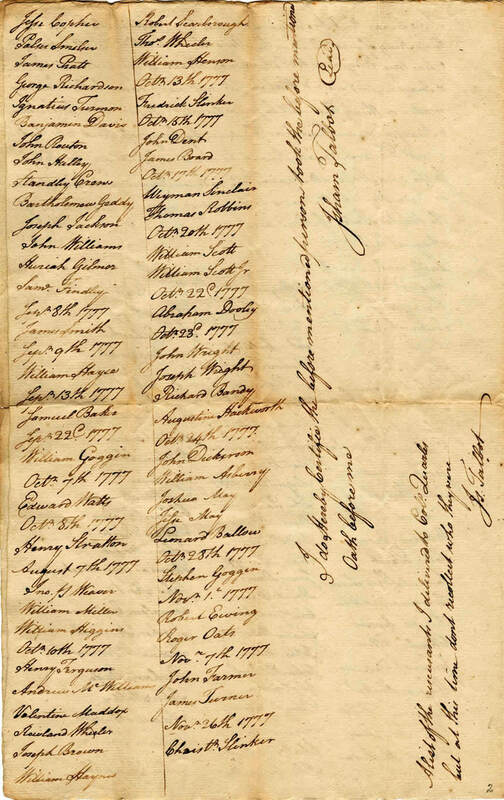 There are the signatures of fifty men in total , many of whom are known to have been in Gwatkins' Company including Bartholomew Geddy and Joseph Jackson who signed on the left column on this page. Justice Talbot: "I do hereby certify the before mentioned persons took the before mentioned Oath before me. Isham Talbot. A list of the recusants was given to Col. Quarls but at this time don't recollect who they were. Is. Talbot."